Avoid contamination of body filler, glazing putty and other two-component products which cause pinholes and basecoat discoloration. Don’t waste time looking for cardboard or trying to clean-off plastic boards. 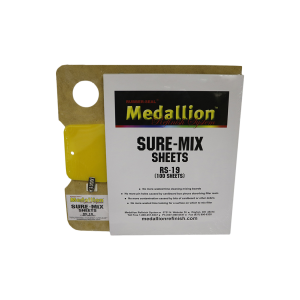 Just tear off the used Sure-Mix sheet and you have a brand new mixing surface.